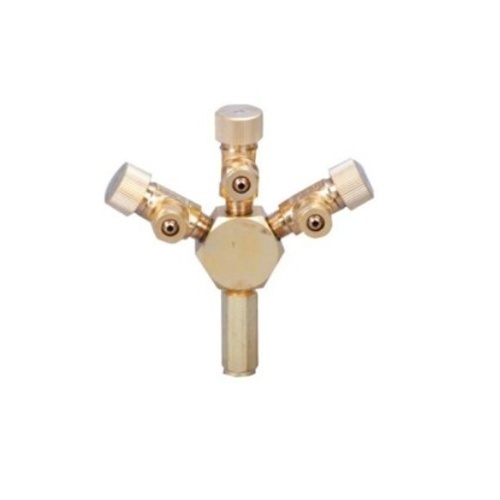 With this ISTA 3 Way splitter, you can connect up to three CO2 diffusers/supplies from a single CO2 cylinder. Each outlet is equipped with an individual needle valve allowing precise regulation of CO2 flow. Made of brass for long-lasting durability and dependability. For standard airline tubing.